Breaking up from a relationship is quite hard for any couples, but that is not permanent in most of the cases. Most often the individuals move on but sometimes they can’t and as there’s a saying, “if they leave and come back, their relationship was meant to be. They were meant to be each other”. But one should be ready to handle the rejection because the coming back of the other partner may or may not be possible. 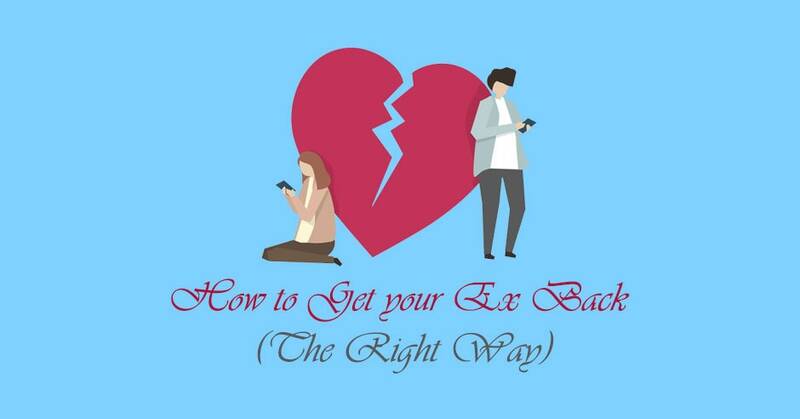 But if you’re really serious about getting a love of your life back and want to live with him/her then here are few tips on How to Get Your Ex Back. In most of the cases, when Girls break up with the boys, they tend to give other reasons than the one which is really for the breakup. So, in order to get things right, ask your ex to meet in person and you can choose a neutral place like a park or some nice but public place where you guys can really think you can express yourselves. “Ask how are they doing, look in their eyes, pass a smile at them and try to listen to what exactly they have to say to you.” If they are not speaking, Don’t try to push them, just ask your question gently and keep quiet and keep looking them in the eyes and smiling and let them take their time and speak. “Ask them how they felt after they broke with you? listen to him/her without interrupting and express your empathy towards their situation”. NOTE: If you are meeting him/her for the first time after the breakup, Listening is the key. So BE A GOOD LISTENER. Generally, when you talk to your Ex, he/she will point out the negative things from your past. But you don’t have to dwell on your past rather talk about the good memories which you know he/she enjoyed a lot with you and make him/her realize that there were positive things as well your relationship. Also, Don’t only talk about the past, focus on talking about the present and the Future with them and try to incorporate things that you guys have in common in that future. If you’re asking questions and are in a conversation, don’t try to make your partner feel Guilty about how you’re feeling or threaten him/her if they don’t come back to you. Rather let him/her know how you feel responsible for whatever bad happened in your relationship and how you couldn’t make a good partner for him/her and let them know that you are actually feeling guilty about your behavior. Also, let your partner know how you’re working on that bad part of you to not hurt other people anymore and how exactly has it helped you to become a good person. Saying Sorry for once can be heard and can be ignored but if you really want your partner back then you need to take the entire responsibility of the problem that you caused. And that only happens when you really feel where you’re wrong and when you really are apologizing from your heart. The words differ, ex. “I’m sorry, I was a little angry to.. compared to I’m extremely sorry for being harsh and disrespectful to..”. There’s an old saying, “Love yourself to find Love is True”. Hence Rather than completely focusing on getting your partner back, Also focus on Loving yourself. They have to see that you are independent and strong in your own as well. Lastly, Be Honest with whatever you are telling them and feeling them and let them decide what they have to do. Don’t beg to them to back to your life, They should also want it too in order to get him/her back. Oly then the relationship can be stronger. Also, If you are honest to let them feel it, they might not come to you the same day but you don’t loose your hope and don’t stop to make your efforts to get them back. No matter what he/she tells you, how they treat you, Just respect their decisions, their feelings, and respect the time that you guys were together. It’s just a matter of the other partner seeing that real effort from you and once they see that in you and they can find the real way of working things out and there will be a huge chance of getting back together. But Show the new you to them if that happens. All the best for your relationships. Please share your comments in the comment section below.